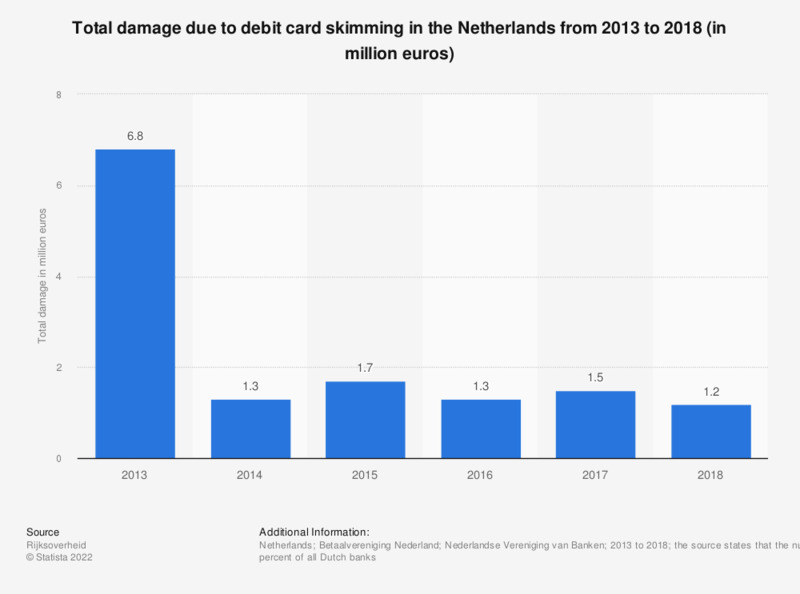 This statistic shows the total damage due to debit card skimming in the Netherlands from 2013 to 2017 (in million euros). In 2017, debit card skimming led to a total damage of approximately 1.5 million euros. This is an increase when compared to the previous year.